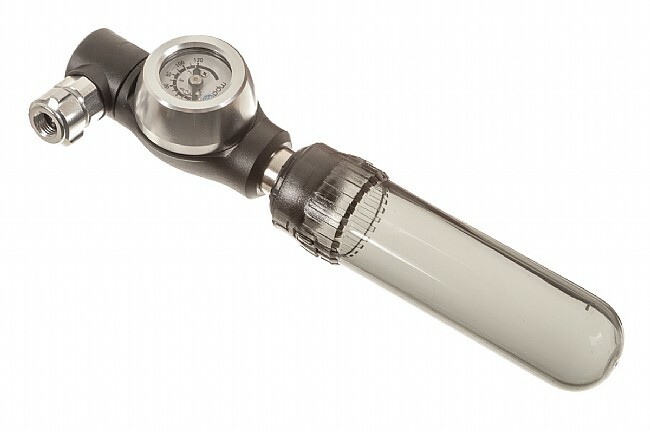 Portland Design Works BARkeep™ CO2 Inflator makes tire inflation as satisfying as pouring a beer. It threads onto both Presta and Schrader valves, and the integrated pressure gauge works on its own or with threaded 16 g CO2 cartridges when inflating to make sure pressure numbers are exactly right. 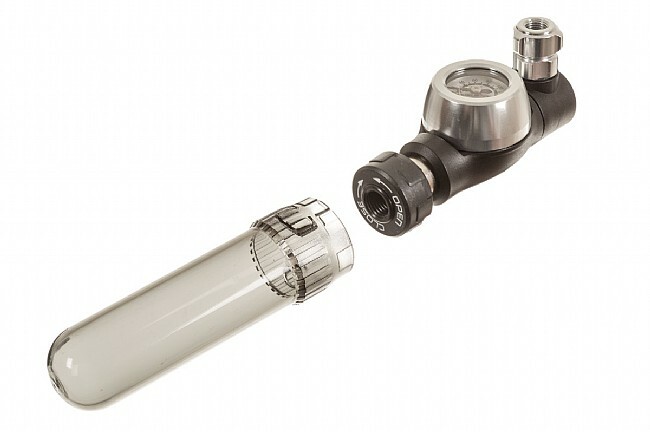 Tap Handle™ flow control allows for precise inflation, and the plastic cover keeps hands insulated from cold cartridges.